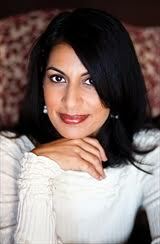 In 2011, I read and reviewed Secret Daughter, Shilpa Somaya Gowda's debut book. I loved it and wondered if The Golden Son would live up to her first novel. Let's just say that I flew through the pages of this one and was immediately drawn in from the first page. In 2011, I read and reviewed Secret Daughter, Shilpa Somaya Gowda's debut book. I loved it and wondered if The Golden Son would live up to her first novel. Let's just say that I flew through the pages of this one and was immediately drawn in from the first page. This is a novel rich in characterization and culture, filled with gems of wisdom and depth. The novel is the story of Anil Patel, the elder son of a respected family in a village of India, who decides to become a doctor and pursue his medical residency in Dallas, Texas at one of the best known hospitals in America. Anil experiences immigrant issues--new culture and attitudes, prejudice, modernized lifestyle and the wonder of modern medicine. He learns some tough lessons all while juggling the traditions of his own culture and family. This is also the story of Leena, a close childhood friend of Anil who lives in Anil's village in India and who eventually gets married and experiences abuse at the hand of her husband's family. At some point Anil and Leena's life reconnect and their life lessons will combine to bring about positive change and healing for both their families. I simply loved how the author was able to seamlessly intertwine the Indian and American cultures and the struggle to find one's identity when part of both cultures. The lush descriptions of the Indian village and farmlands, its people and their lives shone through as equally as did the adrenaline rush of the exhilarating but exhaustive medical residency in a big hospital of a modern metropolis. It is evident that Gowda understood and researched both settings and cultures well. The unspoken but understood ways of doing things in the small Indian village, especially when it came to arranged marriages and dowries versus the medical jargon and competitive nature of the residency were clear evidence of her extensive research. It is these subtle but powerful bits of information that makes this novel so good, so satisfying to read, and such a pleasure for info junkies like me. I love learning new things as I read. 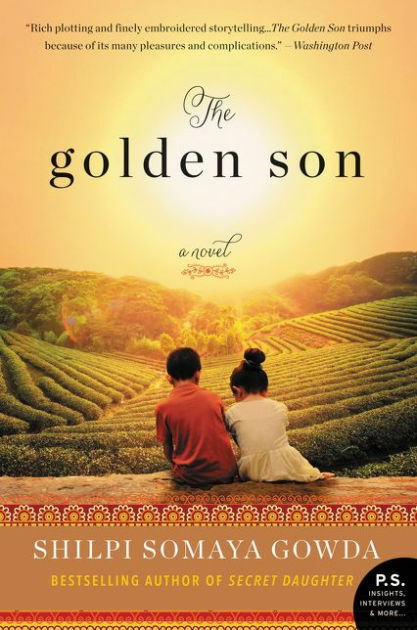 Well-written, evocative, emotional and exotic, The Golden Son is the second book from Gowda that will once again capture not only readers who loved her first book, but anyone who loves to read literary fiction rich in culture and characterization. This book has made it to my Best Reads of 2016 list. To read more reviews, visit Shilpi Somaya Gowda's page on TLC Book Tours. This sounds wonderful. It sounds like a book I'd love and so would my mom. Yes, I think you would love it. And your mom too. Thanks for stopping by. The clash of cultures within an immigrant's family has always intrigued me. It must be so hard to find a balance between your new life and the one you left behind. My parents were immigrants so I can relate. It's one of the reasons I love immigrant stories. Info junkie is a great way to describe it! I'm an info junkie, too! The more tidbits in a book that I can glean, the better! Especially when it's about different cultures or about a topic I know little about. It's part of the joy of reading!